Features the fourfold approach that includes - nutrition using nutrient-dense traditional foods; therapeutics through a wide range of nontoxic remedies; movement to heal and strengthen the emotions; and, medication to develop your powers of objective thought. 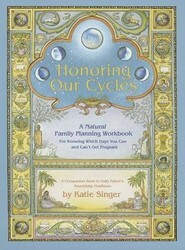 Describes what happens during a menstrual cycle and how a baby is conceived. This title explains how to chart the body's fertility signs to know which days are best for becoming pregnant or avoiding becoming pregnant, without the use of hormonal drugs. It includes dietary advice for successful conception and healthy babies and families.